MelissaBergkamp on Sept. 4, 2017, 6:12 p.m.
MARLINTON, WEST VIRGINIA – Rugged mountains, dense forests, running streams and a man with a dream. A one-man operation, Ben Wilfong of Marlinton, West Virginia, had to conquer more than just low-market prices to get his cattle operation where it is today. Wilfong’s roots in agriculture run deep. He grew up helping his grandfather farm in Marlinton. Determined to get more involved, at 12 years old Wilfong took out a loan from the bank to buy sheep to start showing. But as Wilfong got older, he temporarily left the farm to serve his community as a West Virginia State Police Officer. Wilfong worked in law enforcement for 10 years before returning to his country roots. “I had the opportunity to expand the farm in an unfortunate circumstance,” Wilfong said. In 2006, Wilfong’s grandfather passed of cancer. At that time Wilfong decided to leave the sheriff’s department and continue his family tradition in agriculture. Although a tough decision, he knew it was the right thing to do for himself and his family. Starting his own operation was not easy. 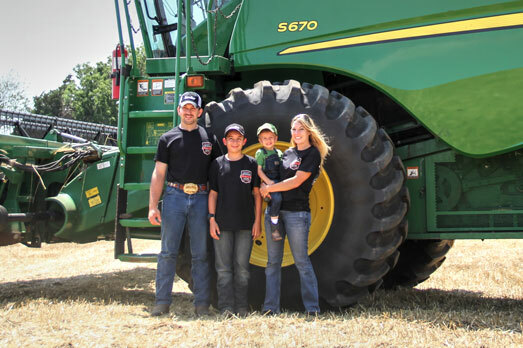 His operation, known as Mountain Top Angus and Auctions, is made up of family: himself, fiancée, Kayala; and sons Jaryd, 12; and Layne, 3. 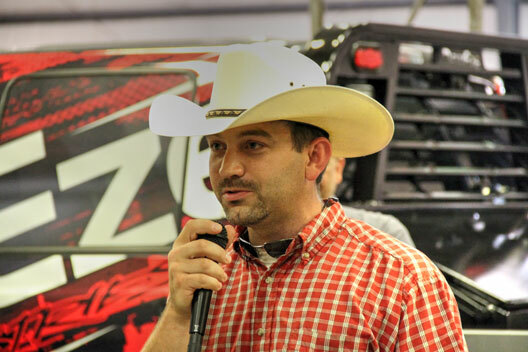 Wilfong’s first change to MTA was to get involved in the cattle business. In the winter of 2006 he bought his first 100 cows and leased pasture land. His operation has since grown to more than 200 Angus, SimAngus and ChiAngus cows and 3,500 acres. Wilfong was traveling a spread of more than 50 miles every day to feed in each of his pastures. He would load bales on his truck with the tractor, and push and unroll them by hand. Wilfong decided he needed a bale bed. Not able to afford one immediately, he started saving to buy one. Then, he caught word of the DewEze 20,000 Likes in 200 Days Sweepstakes. After the giveaway announcement, Wilfong weighed how to customize his new bed. Wilfong chose a 682 Pivot XRM.